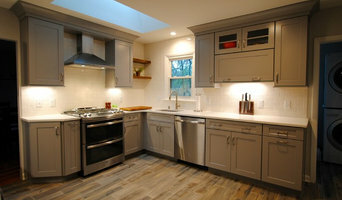 Design kitchens and supply cabinetry to construction trades and homeowners. 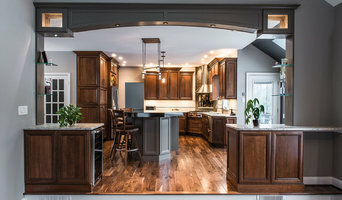 Plain & Fancy manufactures custom cabinetry, right in the heart of Pennsylvania Dutch country. We make cabinetry for any room in your home. We can build exactly what you want for your kitchen, library, office, bath, laundry or any other room in your home. We can produce the shelving, cabinetry and desk for your home library or office, the entertainment unit for your family room or home theater, the retractable cabinet for your flat screen TV, the mantel for your fire place or corner cabinet or armoire for that special location in your home. This is just a glimpse at what Plain & Fancy can offer. 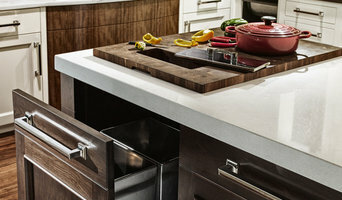 We are proud to manufacture cabinetry that you can customize to fit your own individual needs. We have been building fine custom cabinetry, architectural woodwork, and furniture for over fifteen years. Using 3D design software, we can design and present images of most projects before a single board is cut. Our focus on quality and attention to detail has helped us build a great business with many loyal clients. Let's Face It, Inc. services the entire Delaware Valley including Montgomery County, Bucks County, Delaware County, Chester County, and Philadelphia. Let's Face It specializes in high quality kitchen refacing transformations. With the help of our experienced staff designer, we will truly personalize your kitchen that will endure for many years to come. Why do so many customers make the trip to a Weinstein showroom? For the experience! Not just the chance to see and touch a vast selection of brands, and the 91-year history of service, but the experience and guidance provided by talented design professionals who are as passionate about your project as you are. At every Weinstein showroom, there’s more going on than meets the eye. Our expert design consultants will guide you to the exceptional. Plan and learn. See things up close and in person. Experience brands you won’t find in ordinary stores. KOHLER registered showroom. SolidWoodCabinets.com, is the website of The Solid Wood Cabinet Company based out of Levittown, Pennsylvania. This facility boasts a state-of-the-art showroom and 160,000 square feet of warehouse space where we have over 100,000 kitchen cabinets and vanities in stock. We have 11 showrooms through out New Jersey, Pennsylvania and will be expanding in the coming year. Our cabinets are constructed from high-grade solid wood and we are here to guide you from design to delivery. A leading supplier of bath and shower accessible products tailored for the elderly, physically challenged, those with a handicap, or those with or without disability. Specializing in European wet-rooms, bath and shower seats, grab-bars and hand rails, in addition to shower panels, doors, pans and tubs. Use the Houzz Professionals listings to find Downingtown, PA kitchen and bath accessory vendors. Don’t rule out asking a kitchen manufacturer’s design team for help, too. Skills often can be overlapped to save you time and money! Here are some related professionals and vendors to complement the work of kitchen & bath fixtures: Kitchen & Bath Designers, Kitchen & Bath Remodelers, Interior Designers & Decorators, Cabinets & Cabinetry. Find kitchen and bath fixtures and accessories, plus installation experts, on Houzz. Check out Pennsylvania kitchen products and installers, and bath plumbing products and installers, on Houzz. You can also look through project photos provided by Downingtown, PA renovators, retailers and designers.